Beebe Healthcare’s Margaret H. Rollins School of Nursing invites those interested in entering the rewarding and challenging field of nursing to attend the School’s semi-annual Open House on Thursday, October 27, from 4 p.m. – 6 p.m. Alison Watson, MSN, RN, Admissions Chairperson, will be conducting information sessions every 30 minutes (5:30 last session) to discuss educational opportunities at the School of Nursing for those interested in the two-year, four-semester curriculum that begins each August. Representatives from the University of Delaware will also be available. The School is located behind the Medical Center on Savannah Road in Lewes. 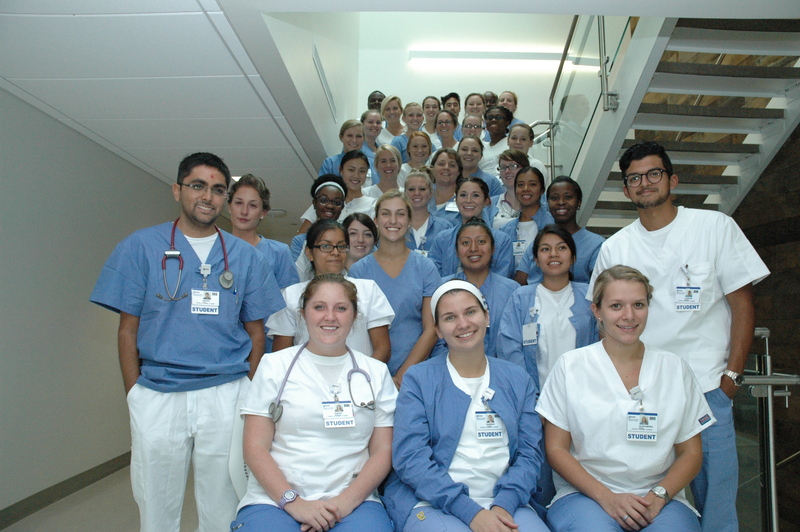 The School of Nursing’s program is known for offering comprehensive nursing education, providing education in basic nursing concepts, advanced technology, and critical care nursing. The curriculum provides optimal, hands-on clinical experience that is more accessible due to the proximity of the Medical Center. The new School of Nursing building, with state-of-the-art classrooms and simulation labs, opened in July 2015. Prerequisite college courses are required prior to enrollment in the Margaret H. Rollins School of Nursing program. A recent partnership with the University of Delaware Associate in Arts Program (AAP) will allow qualified students to take their prerequisite courses through the University of Delaware’s AAP program. This pathway will enable the student to simultaneously earn their diploma in nursing, as well as their Associate in Arts degree and ultimately their baccalaureate degree. Candidates may be eligible for SEED (Student Excellence Equals Degree) funding in their first year. Caption: Students of Class of 2018 began their studies in August and recently toured Beebe Healthcare’s Medical Center in Lewes and became familiar with each of the nursing units. Here, they regrouped at the School at the end of the day. Pictured, left to right, Back Row: Jessica DeFilippis, Errol Watson, Colleen Lyons, Sarah McCullough, Michaela Trice, Hannah Remo, James Hagen, Charmaine Ferebee, Makenzie Lee, Yaw Amo-Mensah, Elisha Brown, and Bethany Jones. Fourth Row: Lili Cooney, Shannon Hill, Demi Edwards, Emily Thompson, Cara Melendez, Amber Wharton, Chelsea Lehrer, and Bethany Harris. Third Row: Simone Wilson, Whitney Toadvine, Alexandra Rizzo, Lesley Temaj-Jiguan and Kayla Duffie. Second Row: Akash Patel, Alexis Bendyna, Doris Chavez-Ramirez, Rebecca Tillman, Angela Glysteen, Jenifer Perez, Janet Herandez and Landon Gehman. Front Row: Sarah McMillan,Hannah Powers, and Alexandra Myers.